The following diagram illustrates some of the many features a Nightscout installation offers. 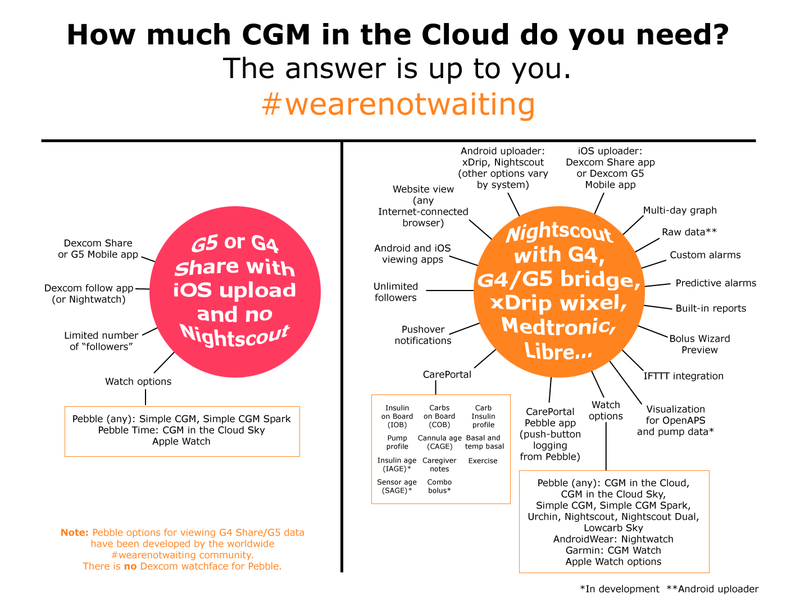 Many times people new to CGM ask, “What’s the difference between the off-the-shelf software and Nightscout?” Some people say that you only need Nightscout if you want to use a browser. We think the answer goes way beyond that.